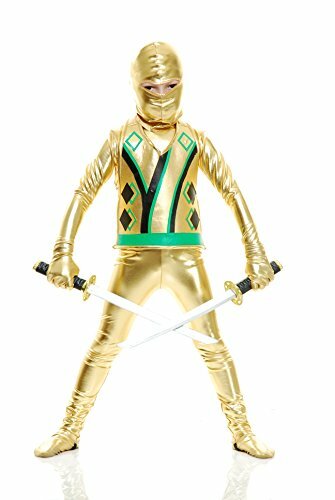 Child's Ninja Avenger costume, printed vest, shirt, pants, and hood. Important: costumes are not sized the same as clothing, consult charade's child's size chart and recent reviews before making selection. Gloves, shoes, swords and other accessories available separately. From inspiration, through design and construction, Charades takes pride in quality materials and excellent finished products.